Doing what you love as your business is not a small accomplishment. Add that to over 25 years of experience and expertise and you have the formula for a dynamic IT consulting firm. Founded by life long tech nerd, Stephen Arndt in 2012, Silver Linings Technology (formerly SMArndt.com), is an established technology services and IT support company that provides unparalleled managed IT and consulting services. Now we could get technical about how this includes infrastructure, security, storage, virtualization, business continuity, portals, collaboration and sustainable IT solutions but we realize ultimately what companies really need is hassle free IT that allows them to accomplish their daily tasks, meet deadlines, input data, and engage efficiently and intentionally with their client base. Silver Linings Technology is in the business of providing just that. Stephen understands the need for first -rate technology blended with controlled budgeting. He helps companies generate revenue, control costs, and mitigate risks through a series of carefully calculated strategies that ensure smooth transitions and an ideal future state for companies implementing new IT initiatives. Who knew a tech nerd and his team could be so helpful? Drop us line and let us know how we can partner with your company today. 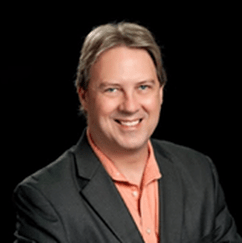 Stephen Matthew Arndt (CEO and CIO), a national healthcare information technology consultant and industry leader, is an innovator, change agent, and problem solver who focuses on results. Stephen has spent more than 25 years in IT, specializing in healthcare for more than 15 years. Prior to this, Stephen served as managing director, Consulting CIO, and senior consultant for IT Powered, a VCPI Company. He also served as the vice president and CIO of Assisted Living Concepts, Inc.
Stephen also brought his passion and knowledge of healthcare and technology to the world of higher education. He taught technology and businesses classes, authored a class on databases, and designed IT applications for development and implementation as an adjunct professor at George Fox University. Stephen is a member of the following associations: SIM Portland, CIO Forum, First Robotics, and Assisted Living Federation of America. He has spoken at AFLA, HC100, CALA, and VCPI Client Connections. Stephen holds a Bachelor of Arts in Management and Organizational Leadership as well as a Masters in Business Administration with a focus on Information Technology from George Fox University in Newberg, OR. We simplify IT. We have more than 25 years of IT services experience and success. You can depend on our strength and expertise. We thrive on exceptional service. You can count on our certified, on-call technicians and engineers. Offering a variety of plans to fit any budget, Silver Linings can provide for all your IT service needs. We work as a team. Collaborating with a common vision, we align our services and solutions with your goals and objectives to deliver exceptional business value. We take business personally. We value our strong relationships with top-rated vendors, such as Microsoft and Google, and cultivate lasting mutual relationships with our clients. We believe in giving back to our clients and the community. Request a free quote - no obligation!